Hi – I am the Senior Global Product Marketing Manager for the Digital Video Security Business Unit in Logitech’s Draper, UT office. I’ve also worked within the Logitech Harmony Remote Control Business Unit and was the Product Manager responsible for the Award Winning Logitech Harmony One. Many of us have a room in our home that is out of range of wireless or Ethernet connections so we get annoyed with non-existent, dropped or slow connections. If you are looking for a simple solution to extend your existing home network, check out the Logitech® HD Powerline 200a Starter Kit (available only in the U.S. at this time). The HD Powerline kit uses your home’s existing electrical wiring and Internet to turn any outlet into an extended Internet connection, so you can use your Logitech Revue™ with Google TV™, game console, TV, Tivo®, computer or any device with an Ethernet connection in any room in your home. With instant plug-and-play setup and 200 Mbps data transmission, you’ll get a connection that’s fast, reliable and secure enough to stream HD video without new wires, networking hassles or software to install. And with built-in surge protection, you don’t have to worry about a power surge damaging your devices. If you want to add another device to your powerline network, simply pick up an additional adapter – sold separately. 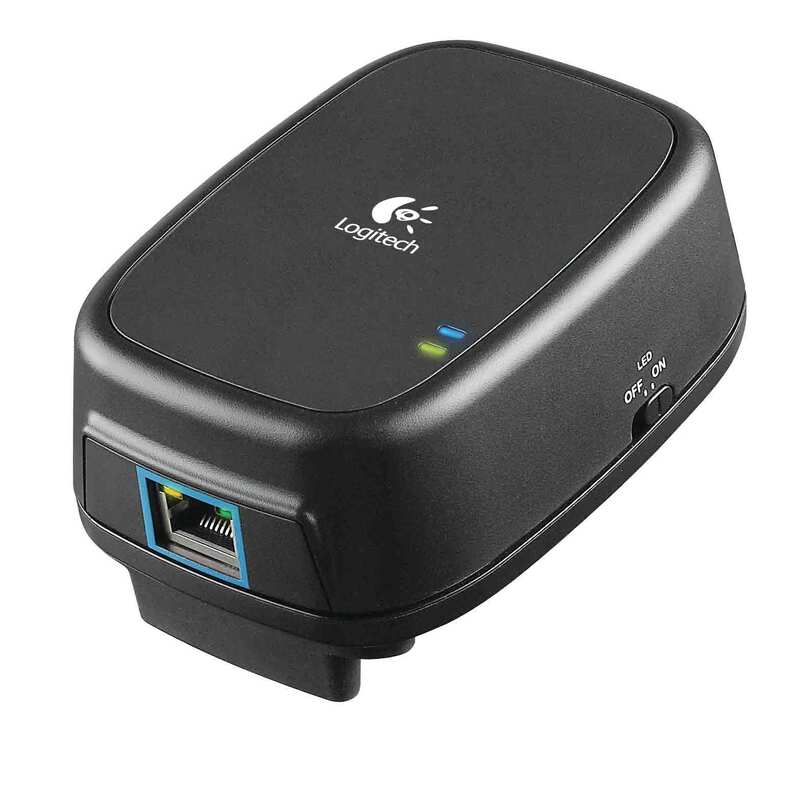 With the Logitech HD Powerline Kit, it has never been easier to add another device to your existing network. « Say “Hello” in HD No Matter What Screen You’re On!